Born: April 1636, Amsterdam, The Netherlands. Died: 15 December 1691, Surat, India. Hendrik A. van Reede, Dutch nobleman and official of the Dutch East India Company (DEIC), was the youngest child of Ernst van Reede, lord of De Vuursche and Drakenstein, and his wife Elisabeth van Utenhove. Hendrik was raised as an orphan by his father's brother Godard. He did not receive an extensive education and started travelling outside Holland at the age of fourteen. In September 1656 he joined the DEIC as a soldier and was sent to Batavia (now Jakarta, Indonesia) in a fleet under Admiral R. van Goens. The ships touched at the Cape at various times between February and May 1657 and on 19 April Hendrik briefly viewed the fort built under the supervision of Commander J.A. van Riebeeck*, and the Company garden. He probably fought under Van Goens against the Portuguese in Ceylon and Malabar (the south-western coastal region of the Indian peninsula) during 1657-1663, driving them out of these regions. By 1661 he held the rank of lieutenant. He distinguished himself in action and in 1662 was promoted to captain. When van Goens left in March 1663 Van Reede was entrusted with considerable responsibility in the Dutch colonial administration of the territory and travelled much in the line of his administrative, diplomatic and political duties. In 1667 he was appointed "First Captain and Sergeant-Major of Ceylon", in charge of the troops there, and gained a reputation as a formidable commander-in-chief. He probably developed an interest in natural history when the DEIC began trying to obtain medicinal plants and other natural products of economic value from its colonies, especially from 1669 onwards. In 1670 he was sent back to Malabar as its commander, with his headquarters at the capital, Cochin. There he started work on the flora of Malabar, collecting hundreds of plants that were described and drawn with the help of various collaborators, both colonists and local herbalists and rulers. The most important of these was Friar Matthew of St Joseph, a carmalite monk from Naples. 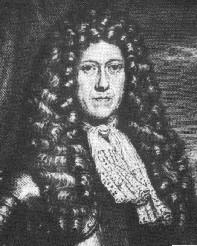 The botanist Paul Hermann* visited Cochin around 1674 and advised him on the first draft of the work. Hendrik resigned as commander of Malabar mainly because of conflict with Van Goens, who was his military superior, and left for Batavia in March 1677. From June to October that year he served as councillor in the Dutch colonial government of India. During this time he met W. Ten Rhijne*, who provided some help with the medicinal aspects of his book. Van Reede returned to The Netherlands (without touching at the Cape) in June 1678 and settled in the province Utrecht, where most of his family resided. There he continued working on his book, Hortus Malabaricus, with the help of collaborators such as the amateur botanist Jan Commelin, the professor of anatomty and botany at the Utrecht Academy, Johannes Munnicks, and competent artists. The first three volumes were published in Latin in 1678, 1679 and 1682. The Latin edition eventually comprised 12 sumptuous volumes, the last appearing in 1693. It contained descriptions and illustrations of 740 trees, shrubs, herbs and other plants, all with their flowers, fruits and seeds depicted life-size. The Lords XVII of the DEIC next appointed Van Reede commissioner-general to represent them in Asia. He left for the East with a fleet in December 1684 and arrived at the Cape on 19 April 1685. One purpose of his visit was to deal with Commissioner van Goens, Jnr, who was undermining the authority of the commander at the Cape, Simon van der Stel*. Van Reede remained to 16 July and during his stay inspected every aspect of the colony. He restored the authority of the Lords XVII, replaced some officials, and revised the administration and finances. Much attention was given to agriculture, horticulture, forestry, stock-breeding, and mining. He studied and described the various layers of soil in the Company's garden, its irrigation, and the trees and plants growing there. Finding the Cape wine a little sour he suggested its improvement by removing the skins, pips and stems of the grapes before pressing, and proposed in his report that the DEIC should expand and monopolise viniculture at the Cape. The conditions of the indigenous forests he found very precarious. Many wooded areas had been destroyed as a result of over-exploitation and failure to provide for their natural restoration. He instructed Van der Stel to have European timber trees such as oaks planted where indigenous forests had been destroyed. Furthermore, during future felling of remaining woods, sections of trees were to be left standing to provide seeds for regrowth. Finding that indigenous tree species had been given the names of European trees which they did not even resemble, he pointed out the importance of botanical research for forestry. On behalf of the Lords XVII he approved Van der Stel's proposed expedition to Namaqualand in search of copper. The most lasting result of his visit is the town Stellenbosch, which he ordered to be established as the centre of a farming community. Van Reede's report on the Cape was well-received by the Lords XVII. He went on to inspect southern Ceylon (October-December 1685), Bengal (January 1686-February 1687), Coromandel (July 1687-June 1689), northern Ceylon (June 1689-March 1690), Tuticorin (April 1690-January 1691), and Malabar (February-November 1691). In Malabar he became ill and left for Surat, India, but died at sea. He was buried near Surat. Dictionary of South African biography, Vol. 1. Cape Town, 1968. Heniger, J. Hendrik Adriaan van Reede tot Drakenstein (1636-1691) and Hortus Malabaricus. Rotterdam: Balkema, 1986.